A former public company General Counsel, Steve Shapiro returned to private practice to provide his clients with the same level of responsiveness, sound judgment and billing flexibility that he required as a General Counsel. Steve Shapiro is a highly accomplished transactional lawyer, skillful negotiator and seasoned business adviser dedicated to fulfilling his clients’ legal needs and minimizing their legal risk using his extensive experience, creativity and practical approach. 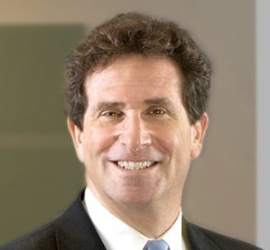 Before returning to private practice, Mr. Shapiro was an award-winning General Counsel and known for his effective collaboration with diverse internal working groups and departments, his leadership and his responsiveness. Mr. Shapiro has extensive experience in technology contracting and related transactions, both on the provider side, as a General Counsel and outside counsel to technology vendors, and on the procurement side, having represented numerous purchasers of technology and technology consulting. He quickly sizes up the risks to and benefits for a company in any potential business proposal, using his practicality and real-world business knowledge. He then leverages his market expertise, creativity and negotiating skills to efficiently complete contracts that best suit his client’s particular situation and business needs. Named as an Illinois Super Lawyer for M&A for the last 7 years by Super Lawyer magazine, Mr. Shapiro completes M&A transactions efficiently and collegially. He has represented publicly traded companies, start-ups, banks, investment banks, venture capitalists, strategic buyers and private equity funds in numerous types of sophisticated deals in a broad range of industries. His in-house background enables him to quickly grasp his clients’ business need as well as their legal priorities, and his breadth of experience enables him to identify and implement comprehensive solutions for all of the client’s interests and needs. Mr. Shapiro also has extensive experience in completing financing and securities transactions. He has worked on a wide range of public and private securities offerings, venture capital financings and lending transactions from small asset-based and working capital loans to multi-million dollar syndicated loans. As a former General Counsel to publicly traded banks, he has a deep understanding of banks, their operations and their overall approach to lending. Steve loves to spend time with his family. He is a Masters swimmer and a former marathoner and triathlete. He loves music, has started learning about classical music and opera and is a fan of classic rock, particularly the Beatles and The Boss (Bruce Springsteen). A voracious reader, Steve has read every Stephen King book.